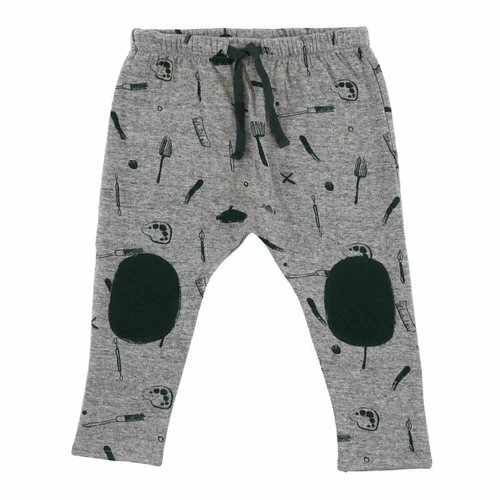 Soft Gallery Roger Pants Grey/Pine AOP Painter is a great pants with allover print and green knee pats. Nice to combine with Baby Ryan Sweatshirt AOP Painter. 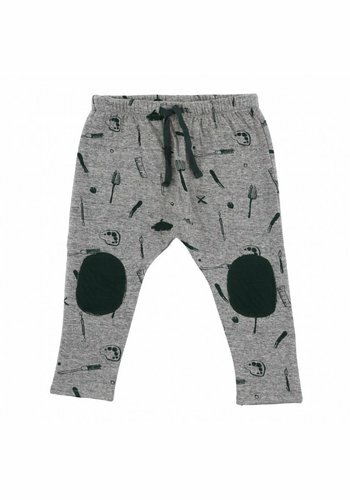 Soft Gallery Roger Pants AOP Painter is made of 90% cotton and 10% polyester. 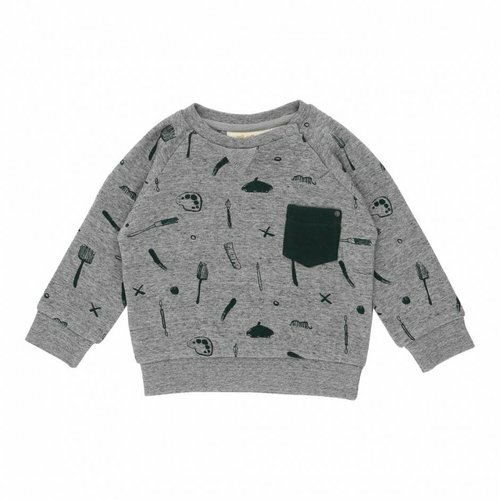 Soft Gallery Baby Ryan Sweatshirt AOP Painter is a nice sweater with allover print and a pocket on the chest. With snaps on the shoulder. 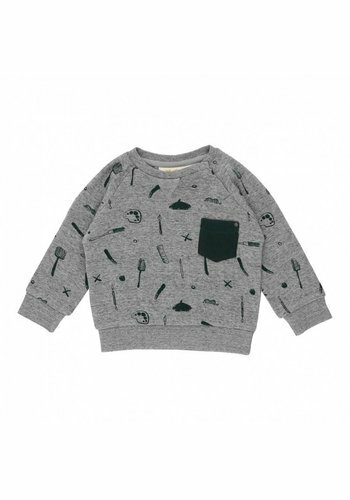 Soft Gallery Baby Ryan Sweatshirt Grove AOP Painter is made of 90% cotton and 10% polyester.